THE ‘Wrexham, Mold & Connah’s Quay Railway Railtour’ of April 29, 1967 was re-created at the Llangollen Railway’s Along Birkenhead Lines gala on March 3-5, with an ‘8F’ once again in charge. This time it was the Great Central Railway’s No. 48624 that worked ‘1Z50’ from Llangollen, suitably adorned with train reporting number and headboard. 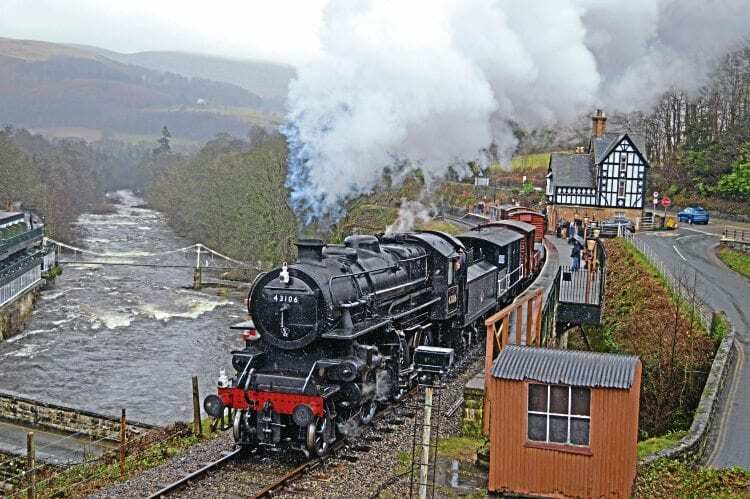 Ironically, the original 1967 tour, which had started at Crewe, terminated at Llangollen Goods Junction and not the station, having come via Wrexham General and Ruabon. The railway had taken great pains to have not only the loco looking the part, but also the train too, featuring a mix of maroon and blue & grey Mk1s. Visiting ‘Modified Hall’ No. 6960 Raveningham Hall also played its part in some of the weekend’s re-creations, standing in for its larger ‘Castle’ brethren on re-runs of the ‘Birkenhead Flyer’ (originally worked by No. 4079 Pendennis Castle on March 4, 1967) and the ‘Zulu’, which had run on the same day as the ‘Flyer’ with No. 7029 Clun Castle performing the honours.